Large amounts of fat particles rise with the thermal air flow caused by cooking, deep-frying and frying. 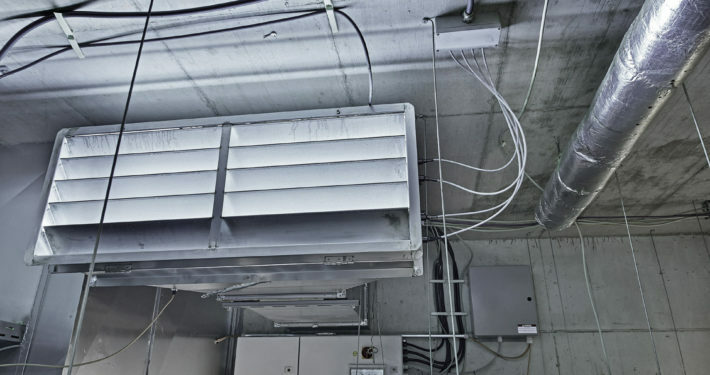 A good portion of these fat particles is usually separated by mechanical aerosol separators, which are installed in exhaust hoods and ventilated ceilings. But even the best aerosol separators do not collect all fat particles. This leads to fat deposits in extract air ducts and downstream equipment exhaust plant. As a result, the risk of fire hazards in these areas increases. In addition, hygiene problems, for example, mould formation (due to nutrient-rich fat deposits), may occur. 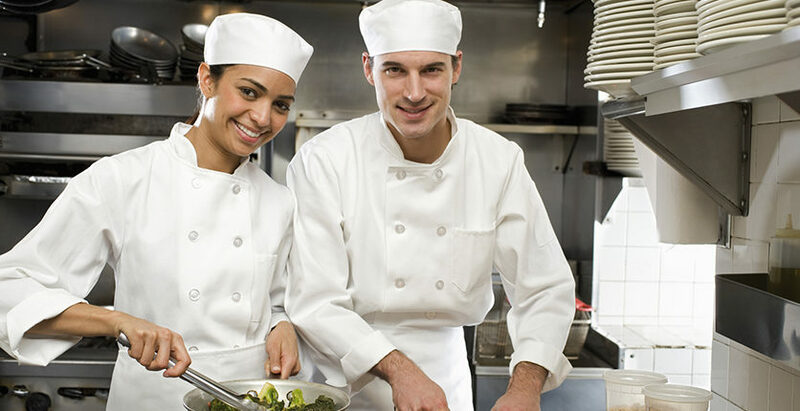 Another problem may be unwanted odours in the kitchen. These do not only arise when deep-frying, cooking or frying but also from fat deposits inside the extract air ducts. Conventional cleaning involves complex and expensive cleaning at regular intervals using robots, high-pressure cleaners and high-performance chemicals to locate the fat deposits in the ducts and remove them. The conventional way of cleaning can, however, only solve the above mentioned problems in the short term and only partly. Many places in the duct system cannot be reached because, for example, of the lack of inspection hatches. 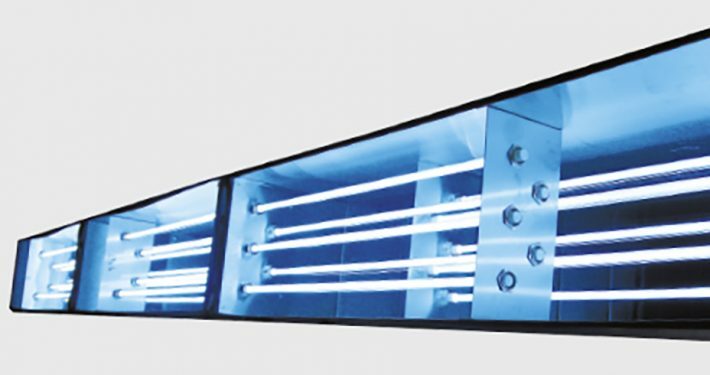 The highly aggressive, high performance chemicals used for conventional cleaning also cause considerable problems especially for older duct systems. 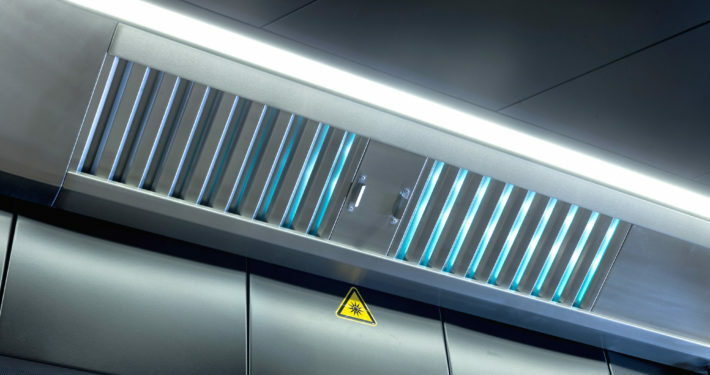 The GIF UV-C(lean) System is the ultimate solution for the decomposing of organic fats and oils in the kitchen extract air by means of UVC-light. Oils and fats are hydrocarbon compounds, the individual molecules of which consist of several carbon atoms, which are linked to one another by single or multiple bonds. 1. When greasy substances are irradiated with intensive UVC-radiation a part of the energy of the UVC-light is absorbed by the fat or oil. The fat molecules are brought into an energetically stimulated state which enables the fat molecules to be oxidised much more quickly. 2. At the same time, ozone is created by the action of the UVC-radiation on the oxygen molecules of the air. The oxidation capacity of ozone is much higher than that of the normal oxygen in the air. These two processes enable the fat molecules to be oxidised immediately (“cold combustion“). The products of the oxidation formed as a result are gaseous, short-chain, organic compounds (e.g. carbon dioxide), which are removed by the extract air stream.